Through the cooperation of Summit County Medical Society, LabCorp, and PrePaidLab, patients are now able to get lab tests done for a small fraction of the normal cost via the medial society website. Anyone near a LabCorp location nationwide is able to use this website to obtain the same low-cost blood tests. 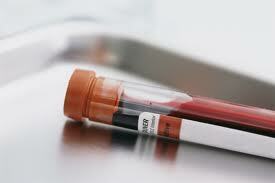 For example, a lipid panel (cholesterol test) can cost as much as $148 for an uninsured person. The same test is available for less than $18 through the site. 1) Click here and choose the tests your doctor says you need. 2) Give the doctor's fax number, pay with a credit card, and print out the order. 3) Take the order to any LabCorp location in 47 states and have the work done. 4) Results are sent securely to the patient and the doctor, often within 24 hours. Sound too good to be true? It really is true. Read about this amazing offer on a news report from CNN here.